Sephiroth Sword A wide picture of Sephiroth, featuring his extremely long Masamune. No, it's not exaggerated in size at all, this is the correct size. 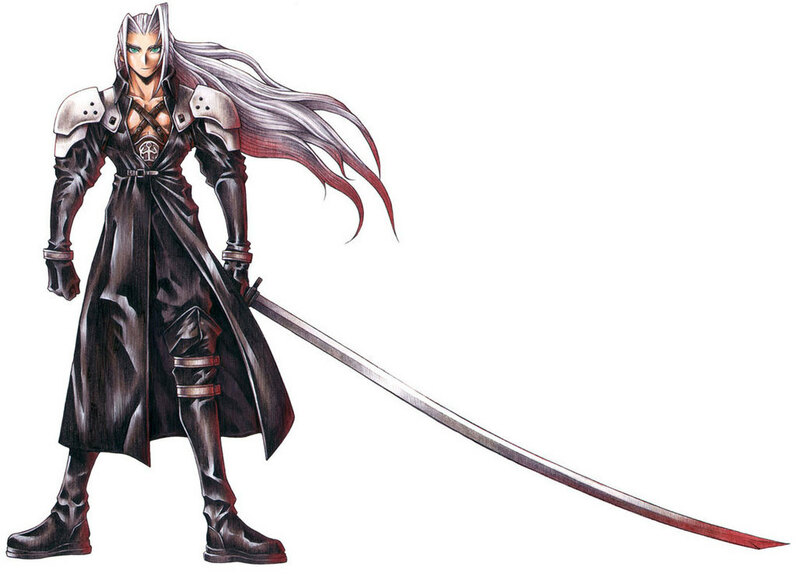 One can see by this picture that Sephiroth's Sword is longer than he is tall - which would indicate around 100 inches. FINAL FANTASY and all related elements including SEPHIROTH are trademark SQUARE ENIX.